Sebastien Ogier is on course for his fourth straight win in Monaco after another stunning day in the French Alps. Although Thierry Neuville had not been headed since Thursday night’s start, an impact midway through the final speed test of the penultimate leg broke his Hyundai i20 Coupe’s rear left suspension and handed the advantage to Ogier. The Frenchman finished his day 47.1sec ahead of Ford Fiesta team-mate Ott Tänak, but his run wasn't without incident. He understeered into a field on the day's opening loop and later clipped a bank. 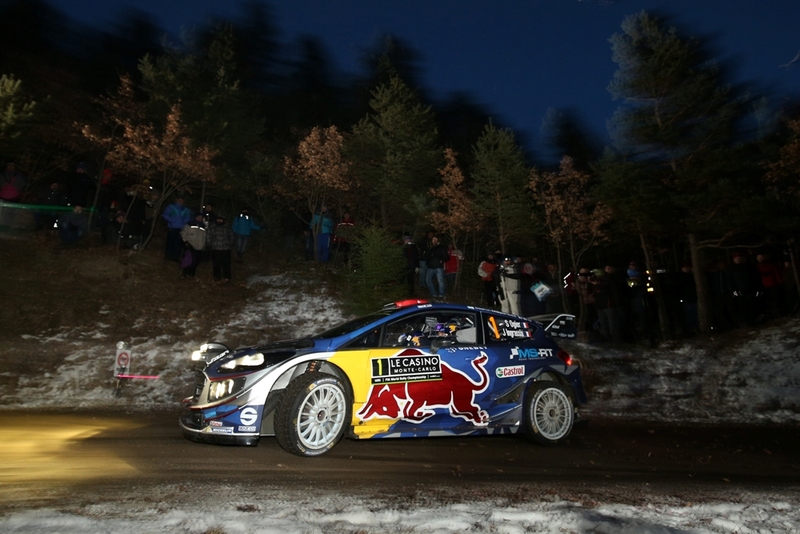 “Thierry has driven a great rally, with fantastic speed. To drive the whole of Monte-Carlo in these conditions at that speed is a hard challenge. Monte-Carlo is a rally where you need luck. 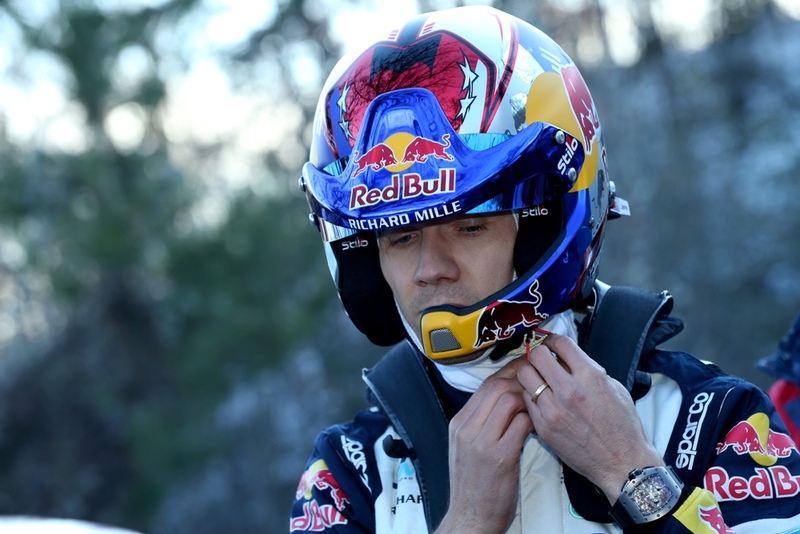 I wished him no bad luck, he did a great job,” said Ogier. Neuville worked furiously to make repairs and limped to the finish having lost more than 30 minutes and plunging to 15th. “It was quite a slow left corner and on the exit the rear went wide and I hit something. I don’t know what,” he said. “We started this morning knowing that Sébastien would be pushing hard, so we responded to that confidently with a stage win. Our lead was up to one minute so we took a strategic decision at the start of the afternoon loop to play safe on tyre choice. We lost a bit of time but we were still in control. In the final stage, I felt comfortable. At the start of the stage, I played with the diffs to get into a good rhythm, and things felt fine. But we went wide into a third or fourth gear corner and there was a lot of gravel. We knew this from our gravel crew, but I must have been too quickly back on the throttle because the car went wide and we hit something like concrete. Immediately, we knew something had broken so we had to stop and fix it." Tänak had a new gearbox fitted, but it started to select gears on its own. His power steering failed at the same time, but the Estonian fixed the issues and he heads Jari-Matti Latvala by 1min 33.5sec. An over-aggressive approach on this morning’s dry roads cost the Finn time on the following snow-covered sections as his studded tyres lost their edge. But the Toyota Yaris driver was in a comfortable podium position in Toyota’s first WRC rally for 17 years. Craig Breen is the top Citroen C3 runner (Lefebvre is 11th) after a most unfortunate accident befell Kris Meeke. 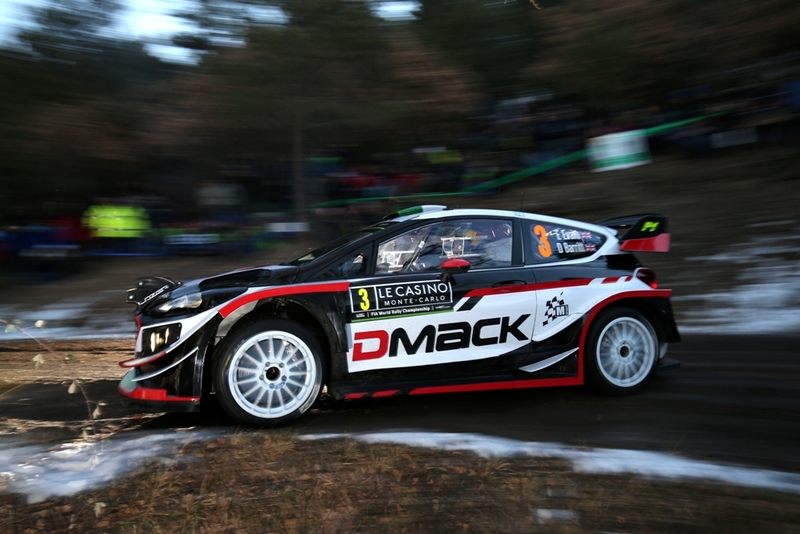 Breen finished the day in fourth place when Dani Sordo dropped a minute in the final stage. Broken power steering sent his i20 Coupe off the road. As for Meeke, his car was hit by another vehicle on the road section to Monaco, leaving the car with a damaged rear right-hand wheel and the crew with no option but to retire. Elfyn Evans was in stunning form in his Fiesta, winning three stages to climb to sixth. Sunday’s finale includes a double ascent of the famous Col de Turini. 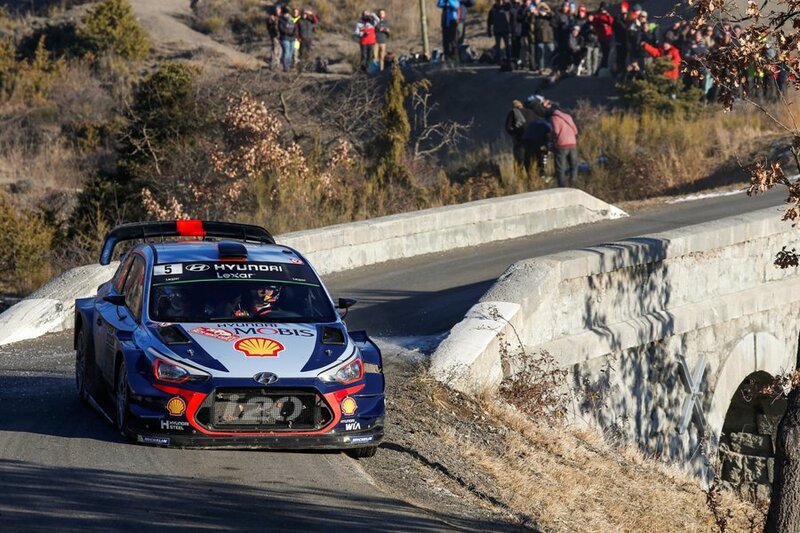 Two loops of two stages are driven twice to make 53.72km of action, with bonus points available to the fastest five drivers in the final Power Stage.